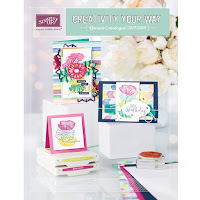 Artistic Embellishments: Butterfly Basics is Simply Beautiful! 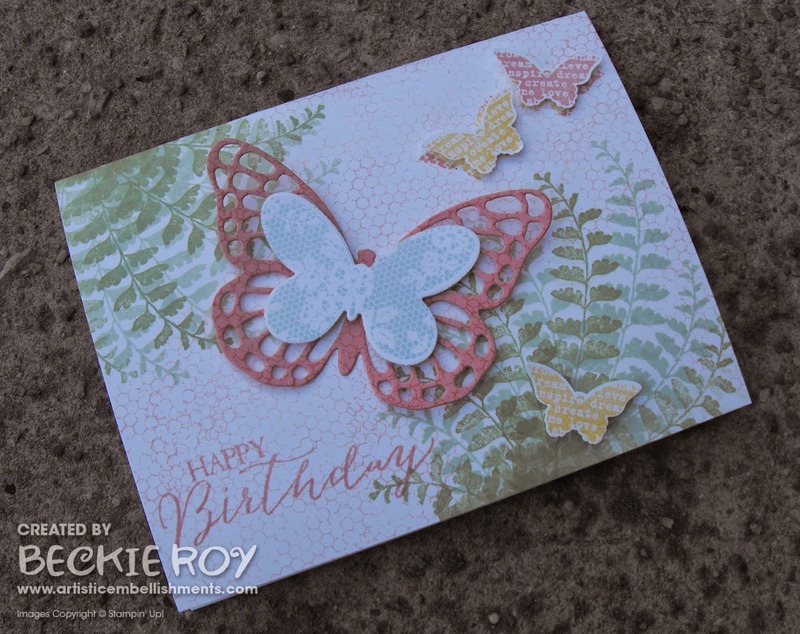 The Butterfly Basics stamp set is one of those sets that I knew I had to have. 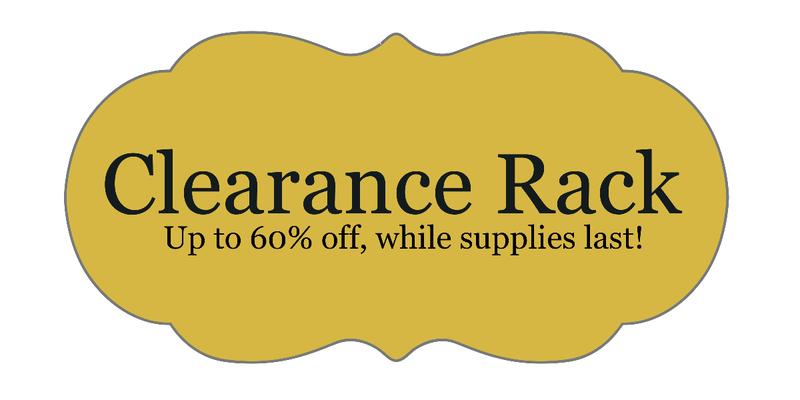 It was immediately at the top of my wish list back in December for demonstrator pre-order. 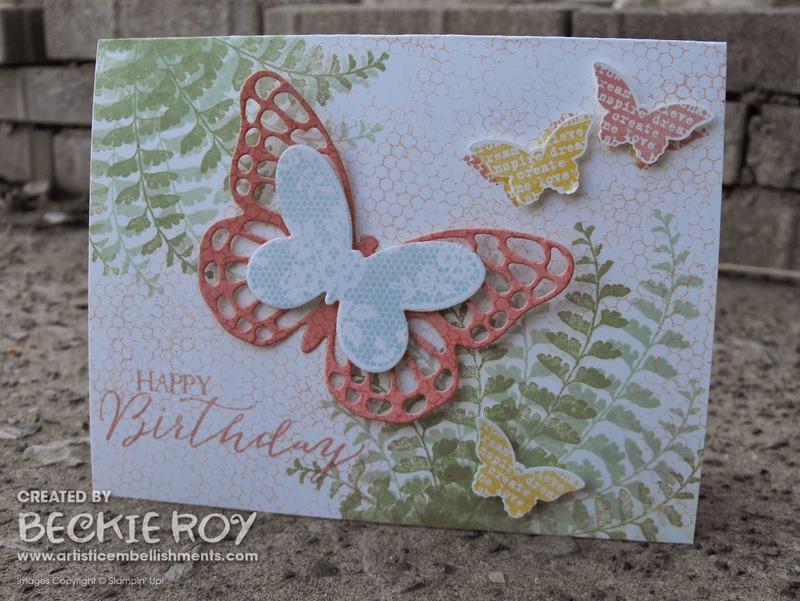 Not only because of the butterflies, but the pretty foliage stamp, the flower, sentiments, and the hexagon background stamp! Well, that's pretty much the whole thing - so I guess I love all of it! I like to sit down with my new stamps and just play and see where my imagination takes me. One of my co-workers was having a birthday at the end of January and I wanted something nature inspired and pretty, but not over the top. She loves nature, flowers and does a lot of Horticulture Therapy at my work as part of our Therapeutic Recreation department. So basically this card is perfect for her! Nature everywhere :) Plus, it's a nice punch of colour to brighten these dull, wintery days. I hope you like my card, have a great day!